The .22 TCM is a cartridge designed to run out of a 1911 pistol magazine and reaches a scorching 2000fps with a 40gr bullet for the 5” barrel. That to me just screams fun in a longer rifle barrel. 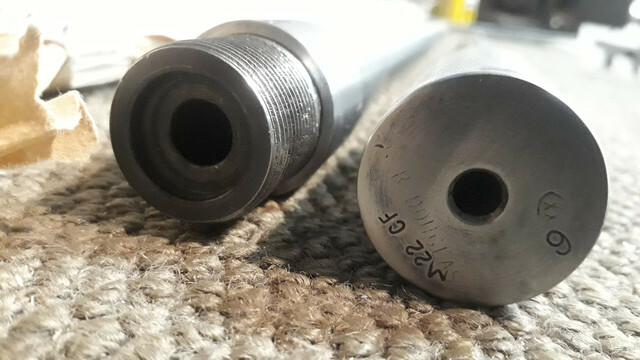 The parent case is a .223Rem cut down to 1.030” and necked back down to .224 without neck turning leaving the brass thicker. I purchased some factory made Armscor Precision Co brass just to get going but will probably make my own from some quality match brass at a later date. 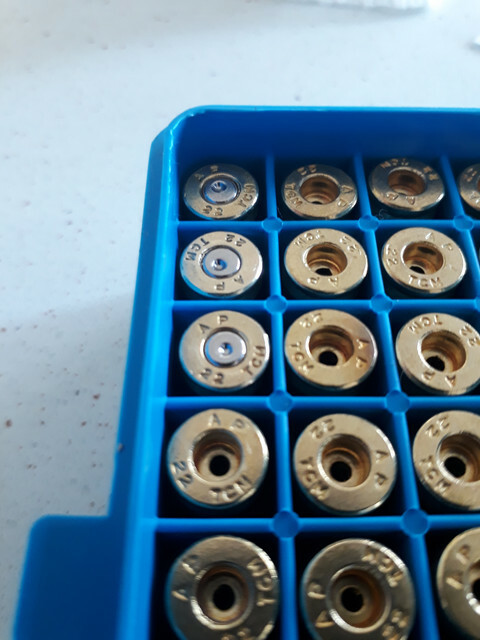 The brass was hard and was very temperamental when trying to seat flat based bullets, I had a few collapsing in the press so I annealed them and chamfered all the case mouths. This fixed the issue and Im set to go. I might make up a neck flaring die to help seat the flat bases bullets concentric. 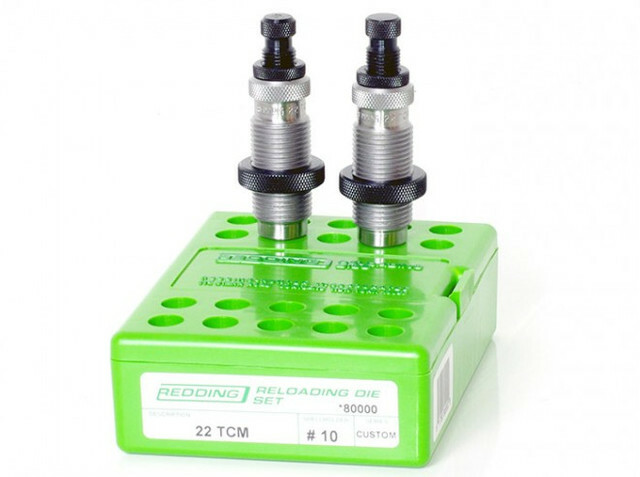 Factory loading dies are being made by Lee, Redding and Hornady and I have picked ups some Lee’s and some Redding to test. I also ordered a custom ground chamber reamer for it form USA and it arrived in a timely manor. 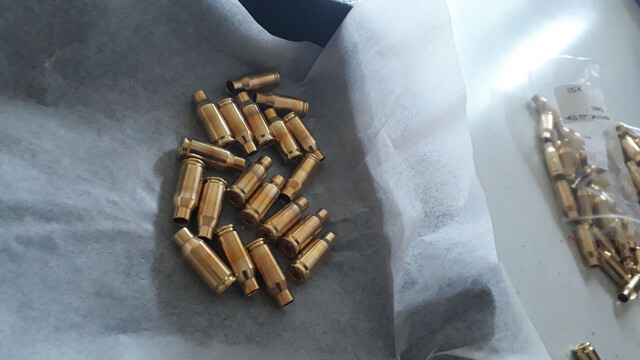 The idea here was not to make a screaming fast and loud wildcat, but a very versatile economical small game cartridge to be able to make under any circumstances (500+rds per pound of powder). I found the TCM after trying to decide one what to replace my .22 magnum with for busting longer range bunnies. .22 magnum ammo is ridiculously over priced at $35 per 50 rounds of 30gr Hornady V-max (the only ammo my semi shoots well) and really has no more effective “accurate” range than my CZ .22lr shooting CCI stds which I can pick up for not much more for a 500 round brick. 221 fireball was an option but was nipping at the heals of my .222 and .223s which are a little too much of an overkill and a touch noisy in some areas I do pest control. Personally I feel it has had its day and I had a modern replacement in my sights. 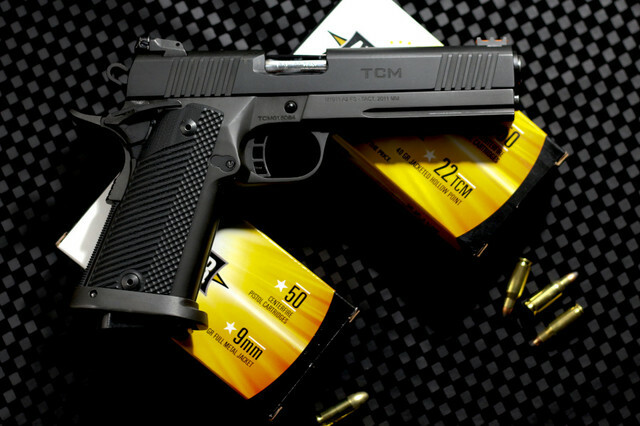 .22 TCM seemed to have potential and cheap yet versatile small game cartridge. I was definitely in the mindset of a reloadable micro centre fire case as I have a few CZ 527s and a Brno Fox which are the perfect small actioned rifle to be chambered for this cartridge! Advantages... Obviously higher velocities than 22lr/mag, but also uses modern rimless cases and can be made from readily available 222 rem, 223 rem, 5.56, .204rug brass etc. Case capacity is about the same as a 22 K Hornet, but will withstand much higher pressures if needed. .22 TCM is a proprietary case not SAAMI approved and there is no load data published for it by any bullet or powder manufacturers. This made it hard for me to decide on a bullet and barrel twist. Choices of .224 bullets are endless and you could even use heavy cast bullets for some quiet subsonic loads. After a bit of thought I have chosen to run 40gr ballistic tip varmint bullets and will be testing a range of manufacturer’s offerings. 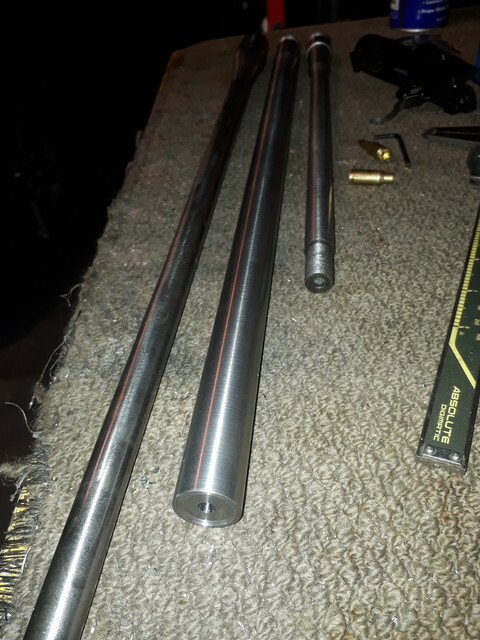 I will hope to push them to 3000fps and maybe run some 50gr to 53gr bullets too which will suit the 1-14” to 1”12” twist. I was also unsure how long the barrel would need to be as there is not a lot of info out there in regards to using rifle powders in this case instead of the pistol powders intended for the 5” pistol barrels. For this reason I decided to make a prototype for testing purposes before I set up my nice match grade barrel. I pulled an old Remington 700 1- 12” twist 24” long Varmint barrel off my shelf that had a worn out throat and a little bit of pitting around the muzzle end from being stored with a suppressor attached. It has been well used but it will serve to give me the data I need. I cut off the old .223 chamber and threaded it to fit the CZ 527 then chambered and crowned it finishing up at 22” long. I intend to find the best powder for it and then start cutting it down an inch at a time until the velocity drops. I suspect the case will be super efficient and wont need a long barrel to reach total burn and max velocity with fast burning rifle powders. 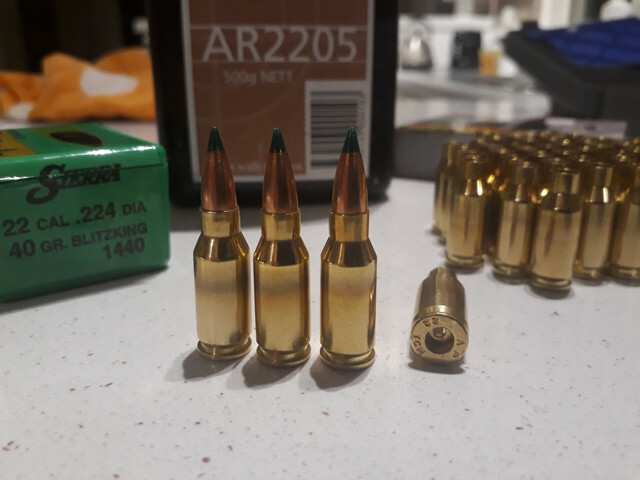 I loaded up a few test rounds with 11gr of ADI 2205 as it was a medium load for the .22 K hornet which shares “almost” the same case capacity. This gave 2700fps over the chrono which was 300fps faster than the ADI hornets published load with a 24” barrel, very promising. With no pressure signs and the spent cases looked great I slowly increased the charge to a max compressed load of 12.2gr of 2205 which produced 2838fps. This is all I can get out of the 2205 due to case capacity not pressure issues. 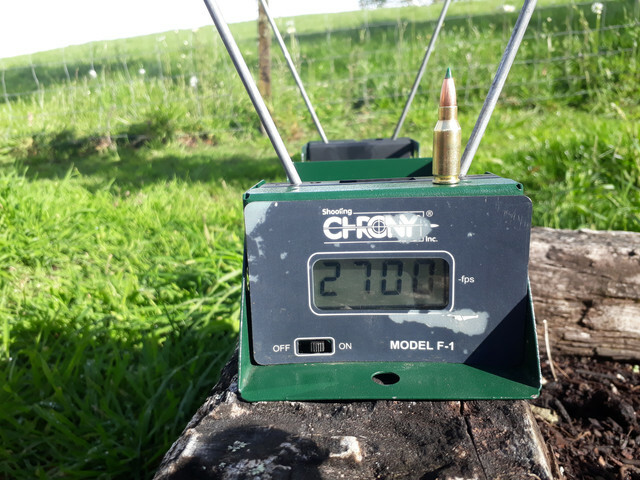 I tried a full compressed load of 2207 as well which was 11.5gr and that only got me 2165fps so clearly to slow of a burn for this cartridge. I need to get my hands on some Hodgdon LilGun as it has a similar burn rate but less bulk. I have read that 14.5gr of Lilgun fills the same volume .22 K Hornet case and gets the best velocities from that cal with 40gr bullets. I will also run some tests with some Hodgdon H110 tomorrow and see what that can do. It is possible that the 22” barrel is actually restricting the velocity rather than aiding it but I will find out in due course. The muzzle report unsuppressed sounds like a .22 magnum and there is no recoil worth mentioning. Once I get a load sorted Ill put it on paper and see how it does. The new chamber cleared the worn throat section and I cut the muzzle thread off and re crowned it so the bore is actually in pretty good shape now, it should shoot well. Another project will be making a new mag follower and block to fit in the rear of the mag to get these shorties to feed better from the mag. dogmatix, muzr257, wsm junkie and 23 others like this. that looks a cool little round. be interested to see what length barrel it can run at successfully would seem to be a cheap varminter going by powder capacity.looking forward to your further testing. Looks like that will be a whole lot of fun to use. Looking forward to seeing some further results with it posted. interesting build . . what kind of accuracy are you getting with the loads you have tried ? Very Nice! hope it goes well for you. 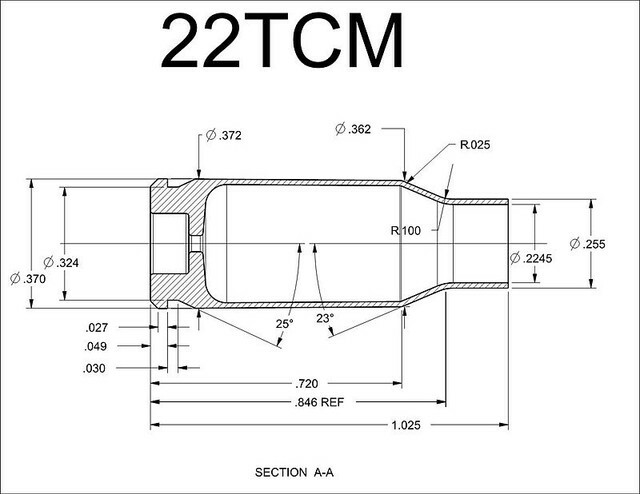 Are you planning to neck turn the brass you form out of 223? Some .223 WSSM brass apparently had very thick neck walls and some people experienced problems with it cracking. 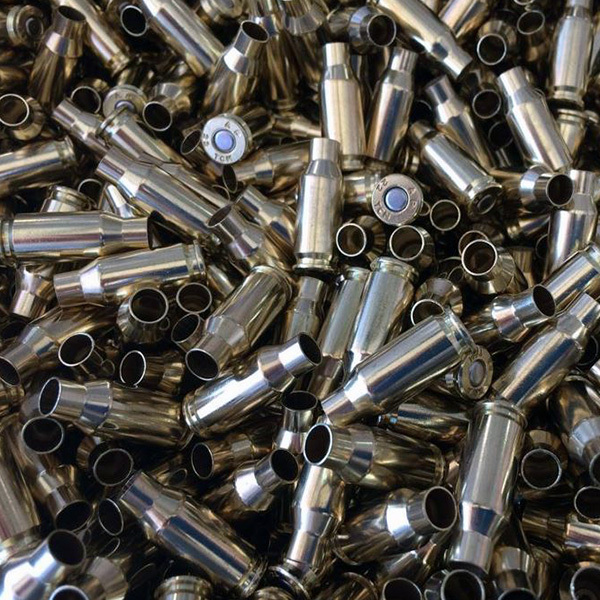 Any problems that arise potentially may vanish if you switch to brass formed from Lapua or Norma. I have a wildcat based on a shortened 7 saum that gave me grief with rem brass but issues disappeared once I switched to Norma. 199p, northdude and takbok like this. Yup and considering that the humble 22 hornet is not allowed in some areas (like a rimfire), this beats that clause. Interested. I had a 22k hornet barrel years ago and it may still be with my other rifles at my mates place. Not sure if I didn't give it to him or not, but it would be an interesting build. 22k Hornet has had its day? Had no issues with RWS brass if looked after. Cool concept and build but not all that different to a K ballistic wise. northdude, Micky Duck, rossi.45 and 1 others like this. Nah wont be neck turning, the reamer is designed to cut the neck area larger than a std .223rem neck to allow for the thicker brass. Neck turning would mean it would work the brass more as it would expand more on firing. I have read that they benefit from annealing every load or second loading to prevent splitting. As you say, if I do have issues I'll make some from Lapua brass. Last edited by Wingman; 31-10-2018 at 06:35 PM. Truth be known Im a k hornet fan too and have had a few.. I worked some H110 loads up today that equal and better those you listed.. Im using K Hornet loading data to give me a starting point. So far its showing real promise. Rise? Just having a giggle. I have always wanted K for the same reasons you built your TCM. Fills a gap and there's not that many around to be fair. Yet I am only running a 19" barrel. Had loads a bit faster but not as accurate as to where I have settled. Have a look at some 300MP. I get lil gun velocities for less powder. thanks for the heads up on 300MP.. Lilgun is not off to a good start in TCM...will document shortly. 300MP works good in my barrel in every aspect so settled on it. Can be hard to get tho.